This was a fun & extremely wet weekend... Friday night Bella had a gymnastics party at her gym from 6-10 p.m., so Eric & I met up with his sis, Sandra, & her hubby, Mark. We always have such a great time when we all get together and Friday night was just the same. We met up at a new restaurant called Westside Alehouse. It had just finished raining, so the weather was sunny & cool, so we sat on the patio & listened to some live Texas Country Music. So much fun to sing along & catch up with them over a few beers. 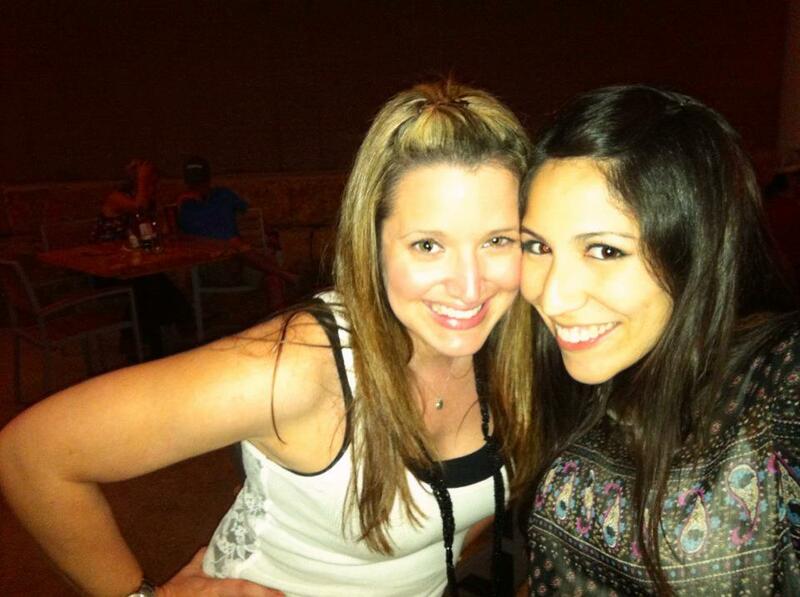 Me & My SIL, Sandra. We always take pics together! 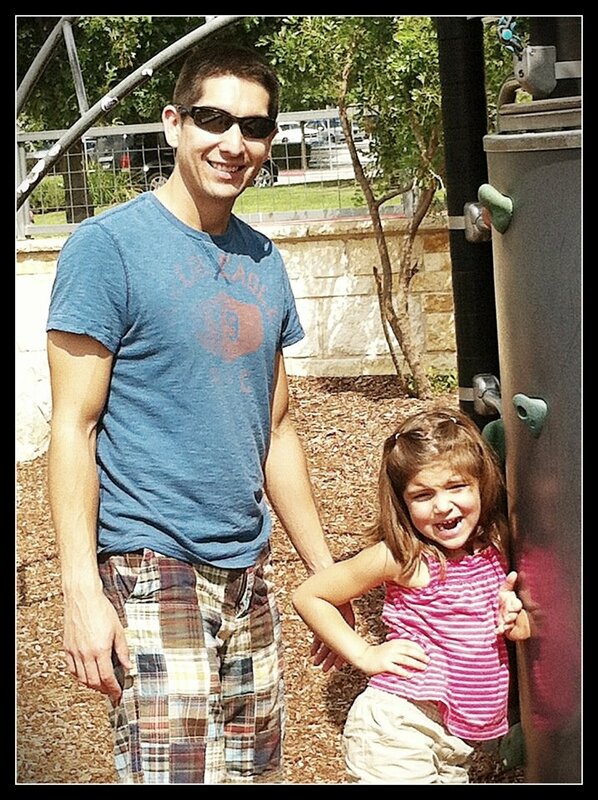 Saturday we ran some errands then went to a playground to let Bella run off some energy. She wasn't too fond of the park we found, because it was pretty hot out by then, so we made it a quick trip, then headed home to get ready to go to Aaron & Tin's house. Eric & Bella playing at the park. She loves to make silly faces! Saturday night we went to our friend's house for dinner. Bella had so much fun playing with their son Ethan & watching Disney movies. The food was amazing (Tin's an awesome cook!) & we had a great time getting to see and catch up with them again! Sunday we did a deep cleaning on the house because it was desperately needed. 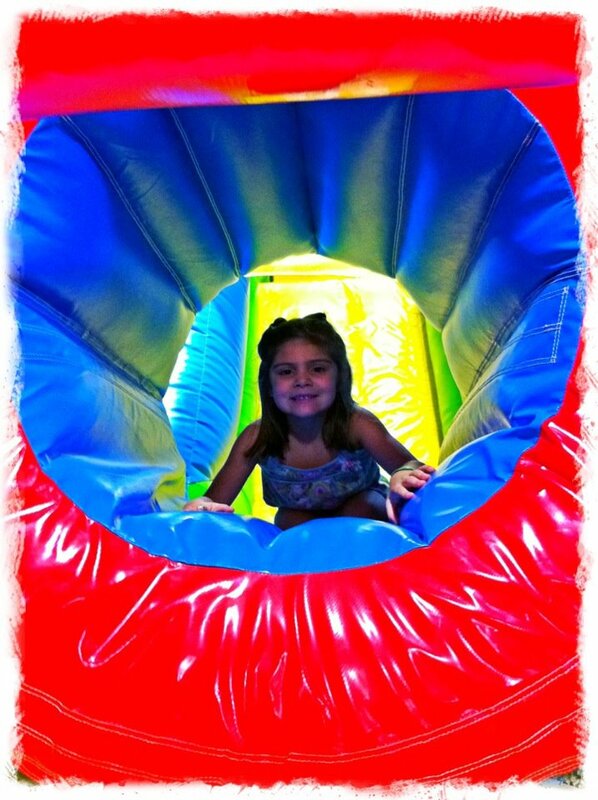 We decided to take Bella to a indoor play place called Jump Zone for an hour or so. 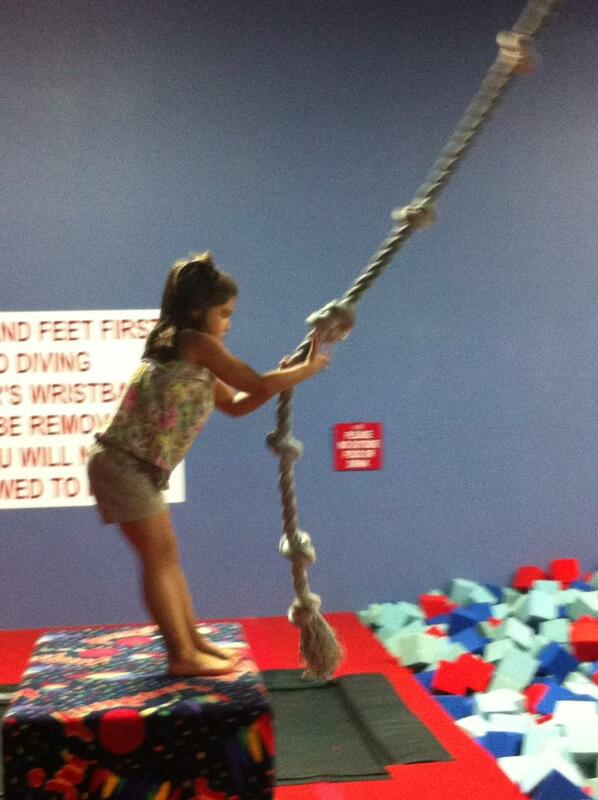 She jumped on trampolines, rope swing into a foam pit, took a humongous slide, etc. Exhausting for Bella & her parents!! Brave brave girl I have... or just crazy!! Sunday night the rain came again (as it has EVERY SINGLE NIGHT FOR 7 DAYS!! 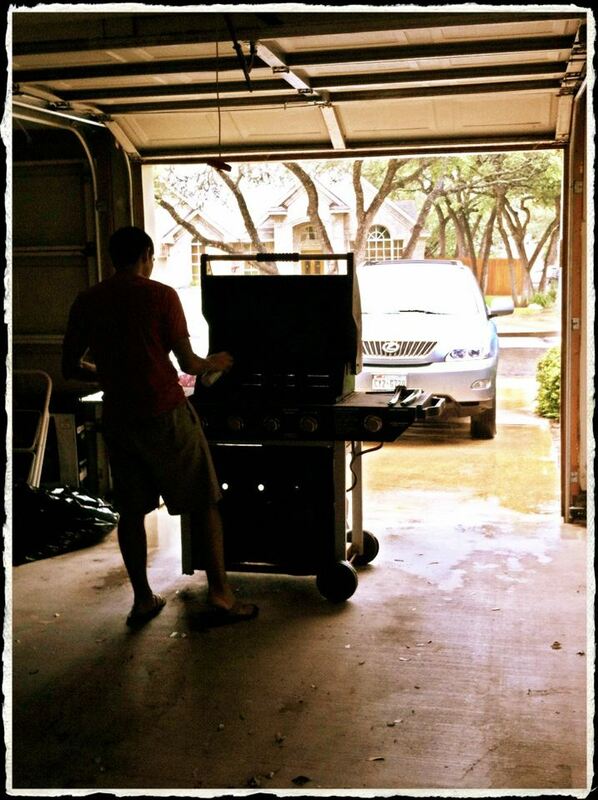 ), so Eric had a brilliant (note the sarcasm here) idea to bring our grill into the garage & grill salmon and asparagus. He rolled it through my kitchen (trails of mud everywhere!!). It ended up working out perfectly which in itself is shocking! We let Bella put her swimsuit on & dance in the rain out front. Such a fun Sunday! Over a really awesome weekend!